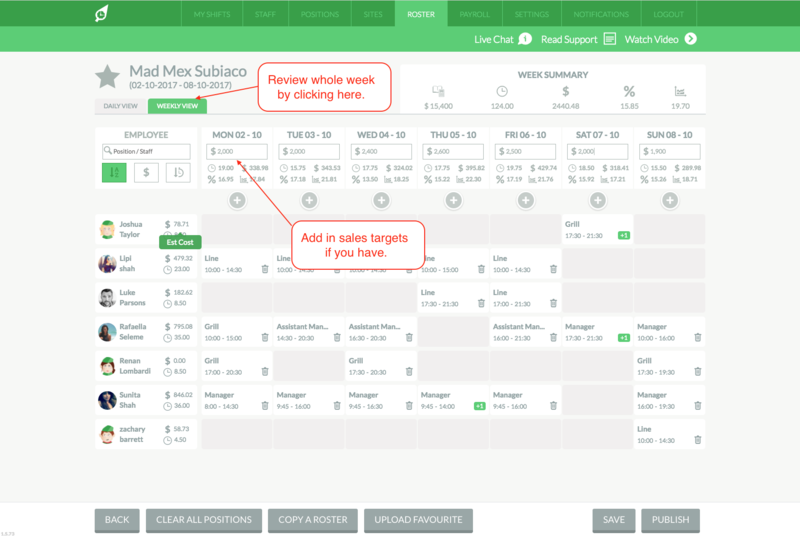 How do I publish a roster? 1. 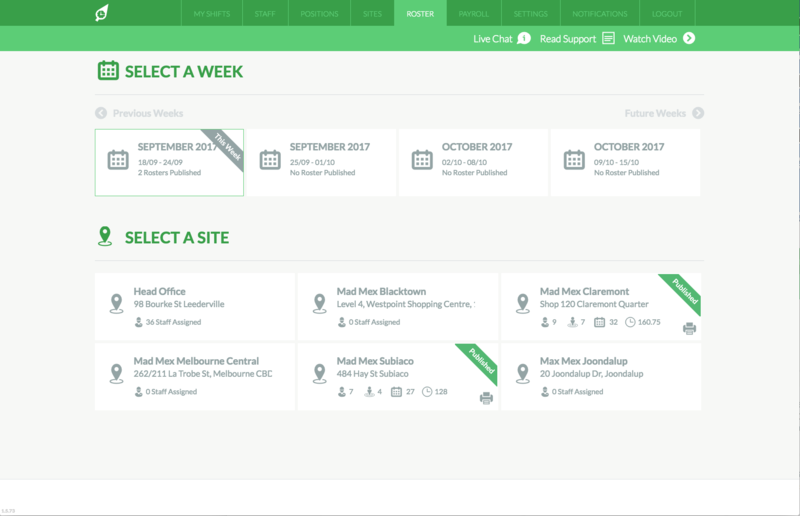 Select a "Week" and "Site". 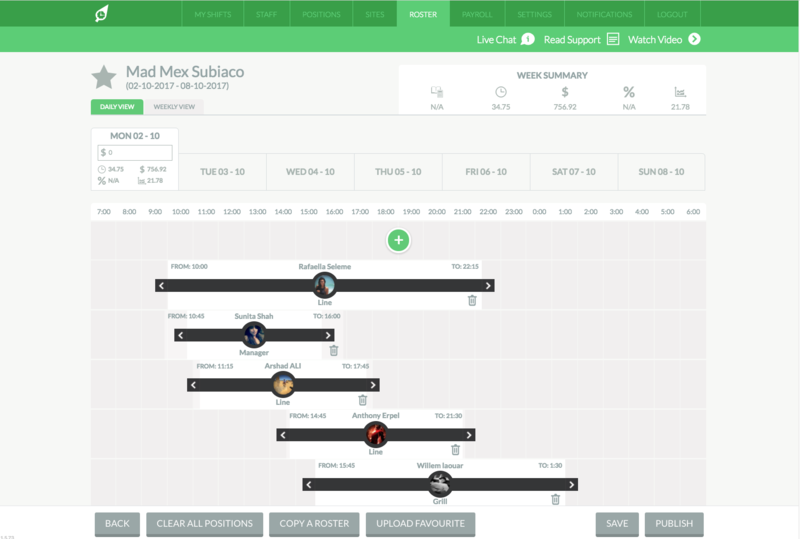 Firstly, go to the "Roster" tab and select a week and then site from this view. 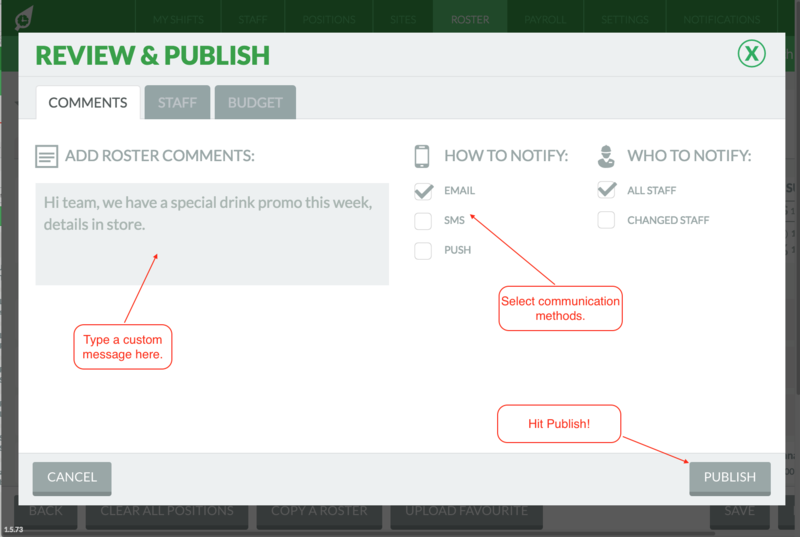 Any sites with a roster already published will have a green "Published" banner to make it easy. 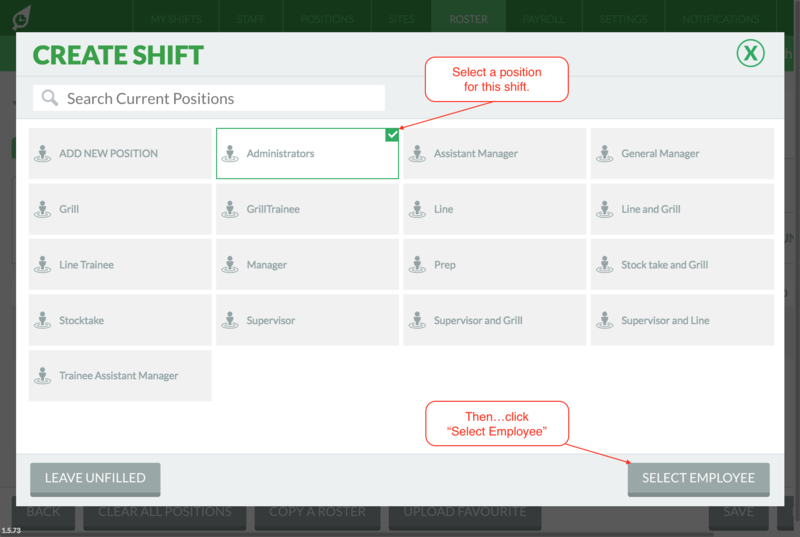 On this view, you need to select employee for the shift. 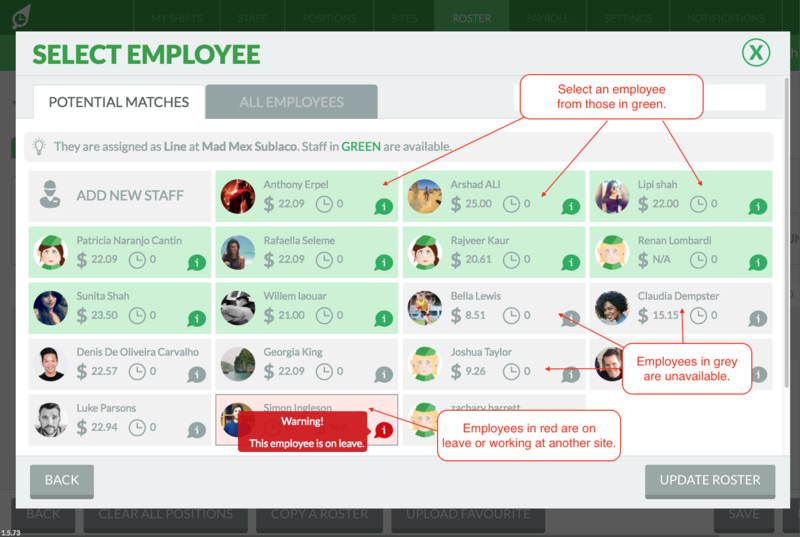 In the "Perfect Matches" tab, only employees assigned to the site and position will be displayed. 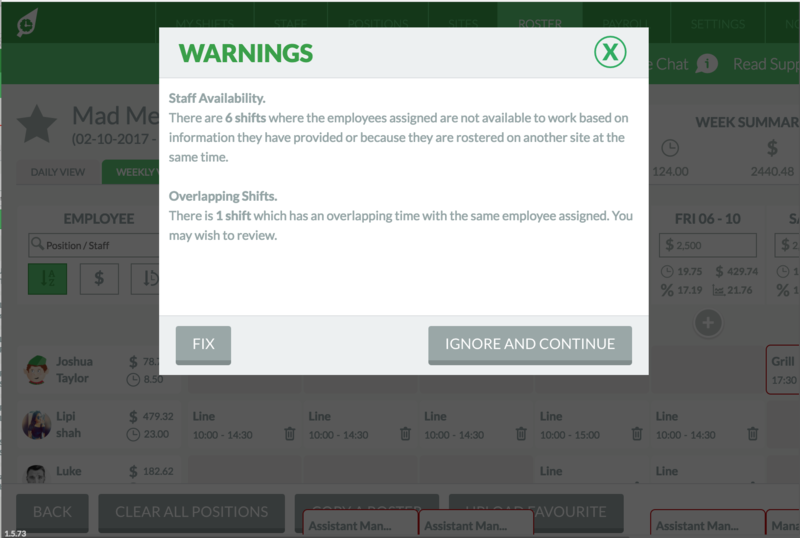 Select one in green, as these employee are also available to work based on their settings. 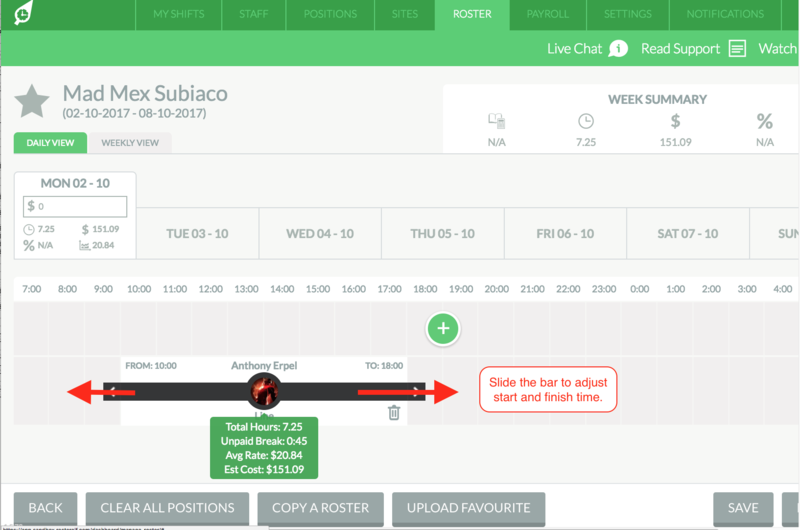 Now you have created and added your first position into your roster, its time to adjust the start and finish time of that position. 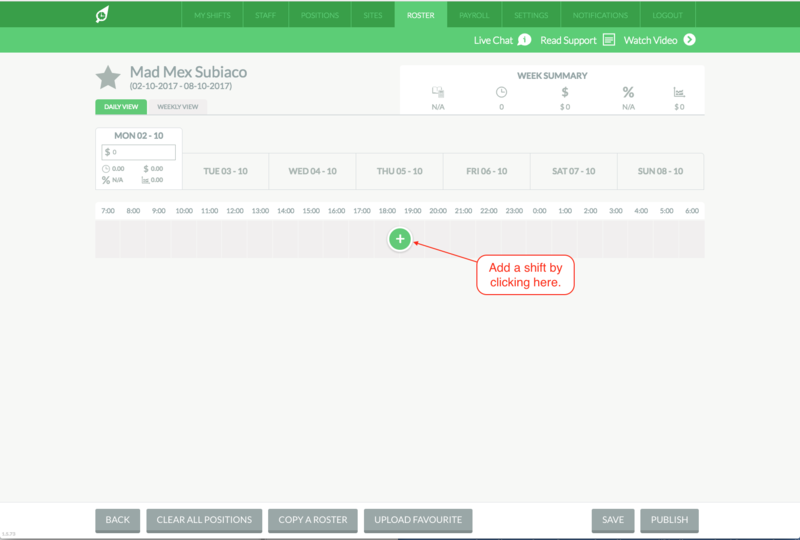 Simply click and drag the arrows (< >) left and right to adjust the start and finish time of the shift. 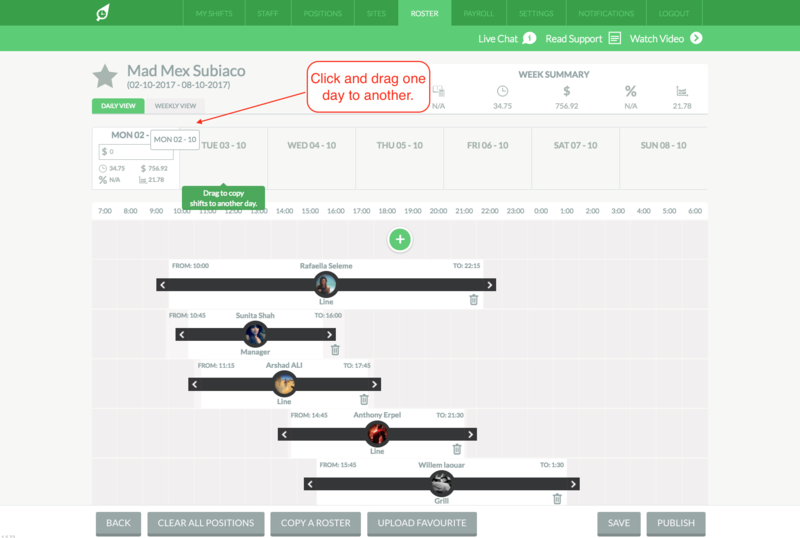 You will also notice that the "Actual" time for the day will adjust automatically as you increase or decrease the shift length. 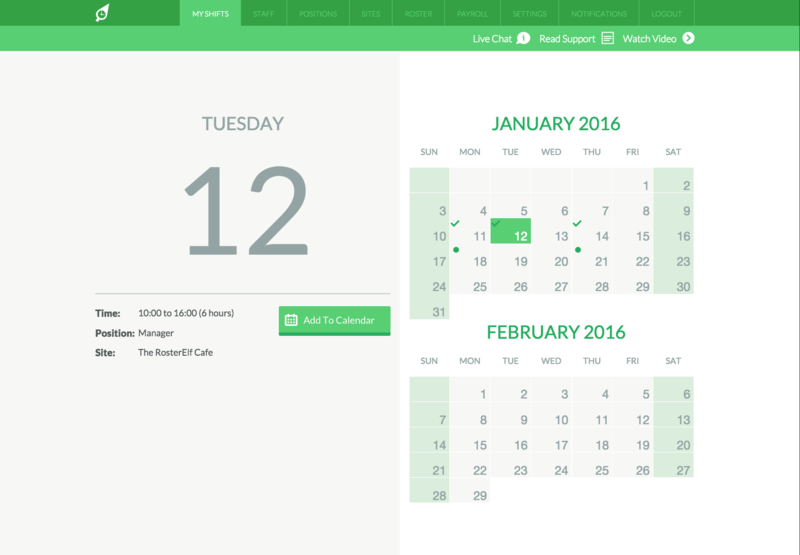 Now repeat steps above to add all your shifts to your roster and assign an employee to each to complete a full day. 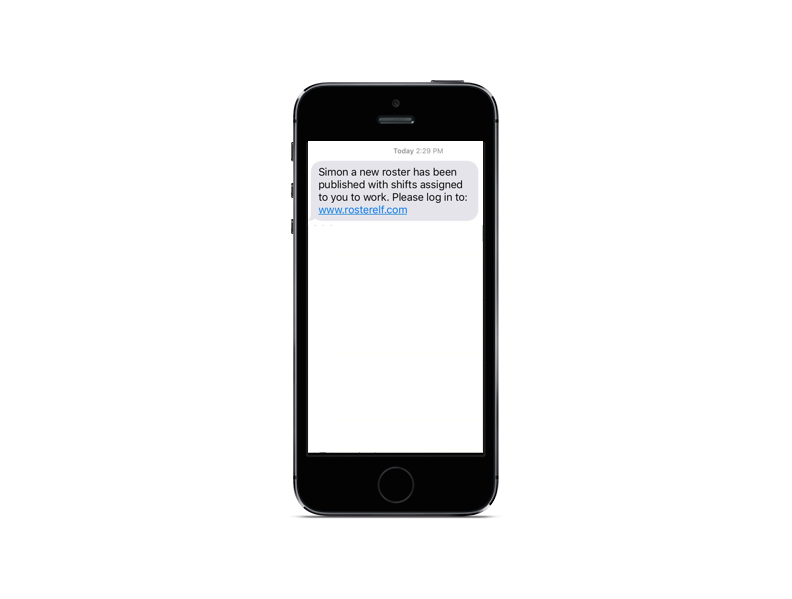 Your employees will instantly be notified via SMS, email and push of their new roster and be asked to view details online or via their app. 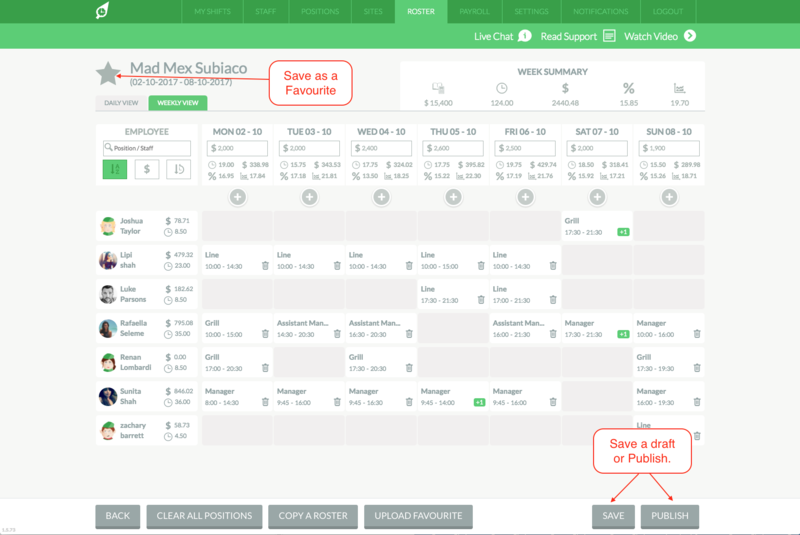 When employees log into their account via app or web, details of their shift including shift comments will be displayed along with any other shifts they have already been rostered on to work.